Riding high on the critical success of this year's compelling album "The Wake", fans can look forward to a machine pummelling cruise on the VOIVOD spacecraft through career defining albums "Killing Technology", "Dimension Hatröss", "Nothingface" "Angel Rat" and "The Outer Limits" plus choice tracks from their most recent releases. Founding member, vocalist Denis "Snake" Belanger prowls the stage and wins crowds with his mischievous charm whilst co-founder Michel "Away" Langevin on drums and new bassist Dominic "Rocky" Laroche pulverise the audience with intensely intricate patterns. Having recovered from the devastating loss of Denis "Piggy" D'Amour in 2005, VOIVOD have been invigorated by the increasingly imaginative presence of Daniel "Chewy" Mongrain who, ten years in, not only can channel Piggy's groundbreaking guitarwork but is developing new dimensions of sound guaranteed to shatter psyches and fire nerve-ends. 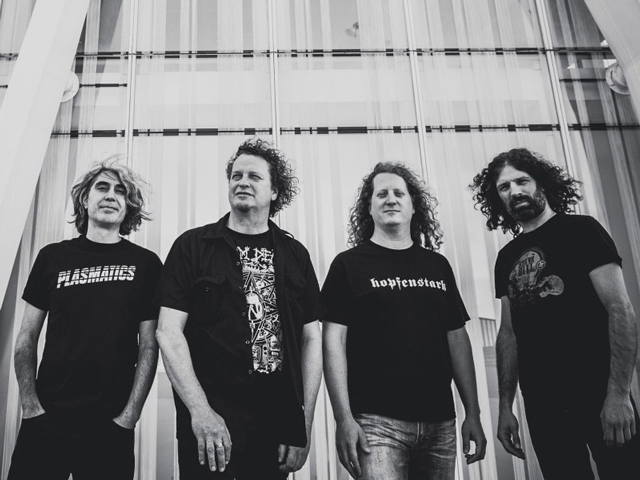 It's been two decades since VOIVOD last graced Australian stages, so don't risk having to wait another 20 years… Get tix now and kick off 2019 with one of the most powerful, thought-provoking, flat out thrashingest shows the new year is going to offer.